The kettle is always boiling and everyone is always welcome. 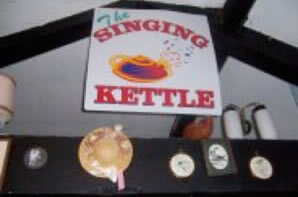 Singing Kettle is a voluntary community group that was formed in 2000 and aim to provide support to the people of Darkley, in particular to those ‘at risk’, those vulnerable in society and those marginalized by the conflict. 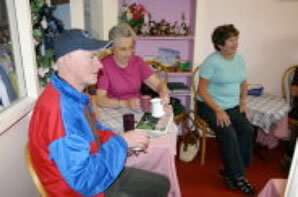 A ‘Tea Morning’/Café service each week which local people attended and had a cup of tea and sandwiches etc. This event attracted in excess of 60 people each week. These were generally local people over 50 years of age, who for some it is the highlight of their week and their only social event. Counselling and listening for customers, visitors, local people and ‘school refusers’, especially for those without cars or transport to city or social services support. Many of the young people have challenges at home and at school. They come to the Singing Kettle and are taught life style skills and are given other practical training. 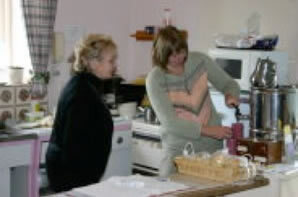 In essence, they are listened to, counselled and given individual attention that was sometimes lacking in their lives. Currently this programme is reflecting on the success of the counselling service, which was offered through the Darkley Together Project. This programme brought together the local church, local residents and befrienders of Crossfire Trust in a gorund breaking initative of reconcilation and hope. A counselling, service, offering advice, information and support to those vulnerable in society and marginalized by the conflict.